Light Grid live wallpaper is hands down my favorite of all time and I wasn’t sure it could get any better, and then today through a new update, it did. You will find under themes and in shapes, our favorite robot to play with in any way you please. 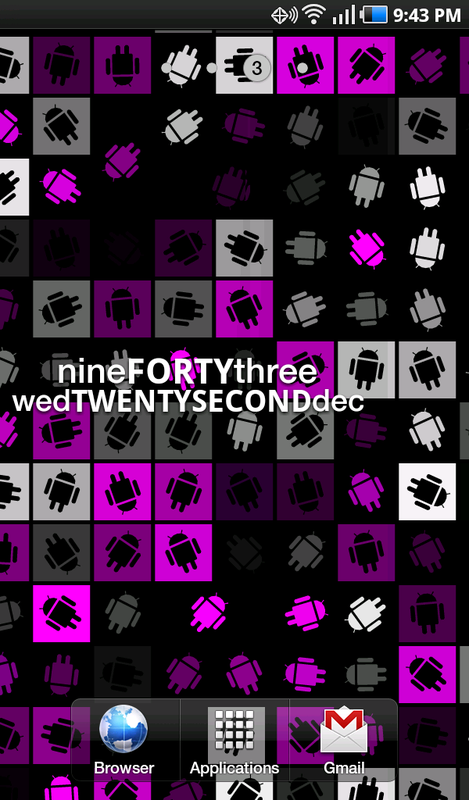 You can see from my two screenies above that I went with the classic DroidLife pink and black, but know that you can make it any color scheme you like. Seriously, if you don’t own Light Grid yet, you need to buy it now. It’s $.99. Oh, it looks like you may need the holiday pack as well to unlock the theme and icons and that will cost you another $.99. Trust me, it’s so worth it.